Many years ago my husband bought a wrap for me that was filled with corn and you could either heat it or use it cold. I liked it, but found that it lost its heat fast, was very heavy and didn’t conform well to my neck, where I was having most of my problems. I suffered from stress related migraines and had to lay down in a dark, quiet room to get relief. After some time of looking for a better wrap, my husband and I decided to create our own. He is very much the brains behind the beginning of this endeavor. He now helps me to cut the material, as I cannot cut a straight line to save my life! I choose to fill them with rice and make them longer and skinnier, so they would wrap around the neck, arm or knee area more comfortably. I also made them lighter in weight, just heavy enough, but not so heavy as to cause discomfort from wearing it around the neck. Each wrap is unique, but they all weigh between 24 to 34 ounces and are about 35 inches long and approximately 3 and 1/2 inches wide. They are homemade, so each one may vary a bit. For Fall and Winter, I make them from Polar fleece or flannel. A good friend of mine suggested I add mittens and gloves, and I thought that would be fun, so I did that for a while. Now I put the gloves on as a special order only. For the spring and summer time, I make them from soft cotton with no gloves. I recently created a new size. 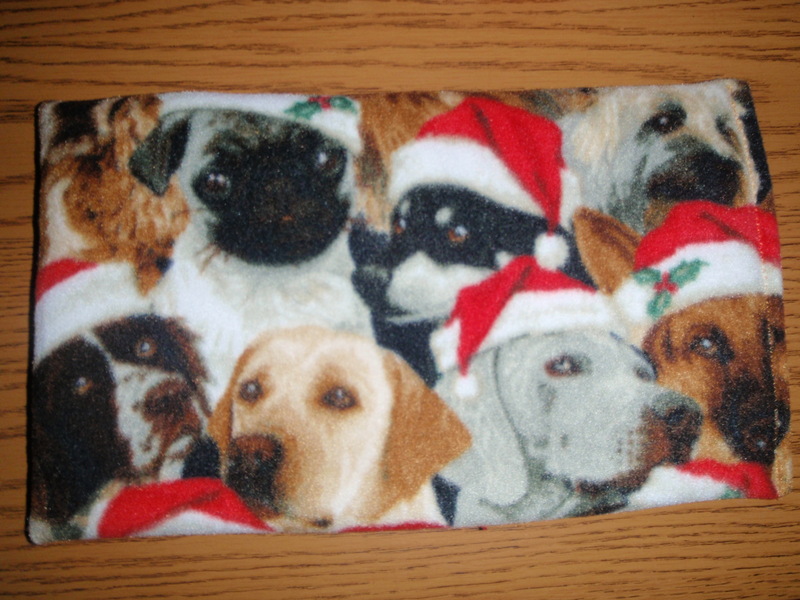 It is more like a lap wrap…they are about 8″ wide X 14″ long. They are still filled with rice and I use soft polar fleece or soft brushed flannel. I also added a new scent…lavender. Prices are a bit lower…$10.00 for regular material and $15.00 for licensed material. I found that different essential oils and scents really helped me with to cope with stress and helped relieve my headaches. That is why the HUGGZ come scented with Young Living essential oils and essential oil blends. 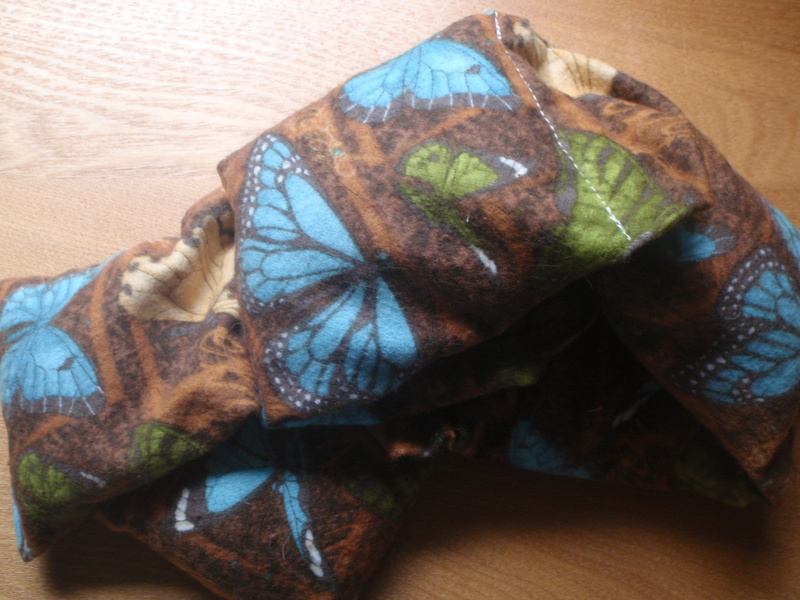 I can also make them unscented fro those who are sensitive to smells. Thieves® Oil Essential Oil Blend: Formulated with highly antiviral, antiseptic, antibacterial and anti-infectious essential oils. Thieves® Oil Blend was created based on research of a group of 15th century thieves in France who protected themselves by rubbing themselves with cloves, rosemary, and other aromatics while robbing plague victims. This Young Living proprietary blend was university tested and found to be highly effective in supporting the immune system and good health. This proprietary blend has also been documented to kill over 99.96% of bacteria it comes into contact with. Clove (Syzygium aromaticum) has a sweet, spicy fragrance that is stimulating and revitalizing. An important ingredient in Thieves® Blend due to its wonderful immune-enhancing features. Lemon (Citrus limon) has antiseptic-like properties and contains compounds that amplify immunity. It promotes circulation, leukocyte formation and lymphatic function. Cinnamon Bark (Cinnamomum verum) Warming and stimulating, it is comforting during the cold season. Eucalyptus (Eucalyptus radiata) is cooling, refreshing and energizing. Because it is relatively gentle and non-irritating, it is the preferred choice for children. Rosemary* (Rosmarinus officinalis CT cineol) has a fresh, herbaceous, sweet, slightly medicinal aroma. An energizing oil, it may be beneficial for helping to restore mental alertness when experiencing fatigue. Peace & Calming Essential Oil Blend: Formulated with the essential oils of tangerine, ylang ylang, blue tansy, orange, and patchouli. The gentle scent of Peace & Calming encourages deep relaxation and can assist with meditation to promote a peaceful night’s sleep. Tangerine: can help relieve muscular contractions by calming and relaxing the walls of the muscles to treat spasms. The sweet citrus-like aroma of tangerine oil, when inhaled has sedative like qualities and can ease nervous tension and promote sleep. This can help in treating anxiety and stress. Ylang Ylang: fights depression and relaxes body and soul, thereby driving away anxiety, sadness etc. It also has an uplifting effect on mood and induces and feeling of joy and hope. Blue Tansy: Induces peace, comfort and relaxation, and is used to relieve nervous tension, anxiety and stress. It banishes emotional strain instantaneously. Orange: Gives a happy, relaxed feeling and works as a mood lifter. It gives relief from anxiety, anger, depression and inflammations. Patchouli: It uplifts mood, drives away disappointment and relaxes tension. I am now in my second full year and have sold over 100 HUGGZ. 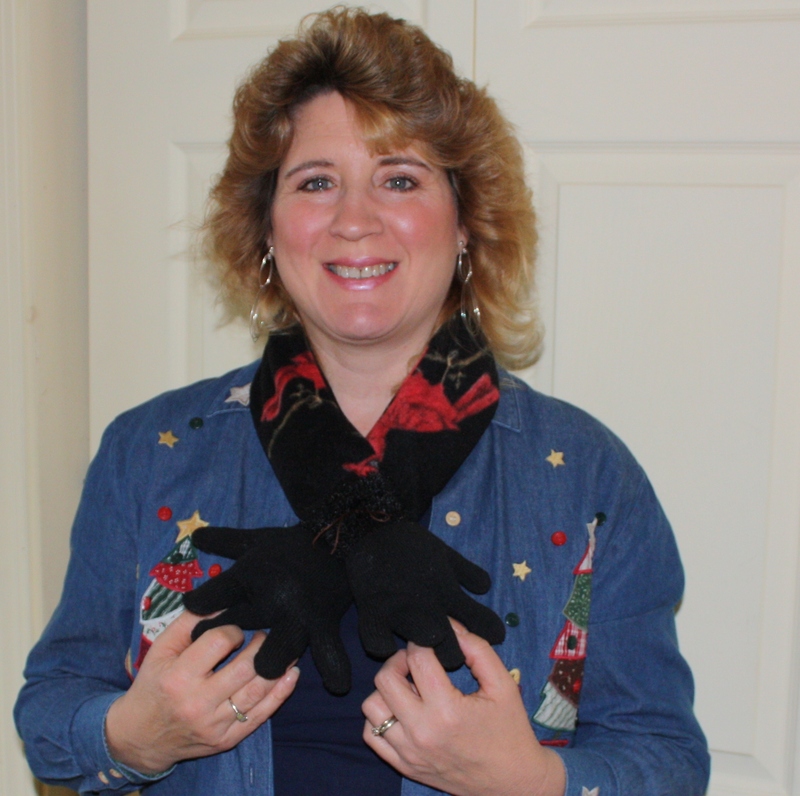 Contact me at Tami@AIMForBalance.com for details on how to order your very own HUGGZ! !